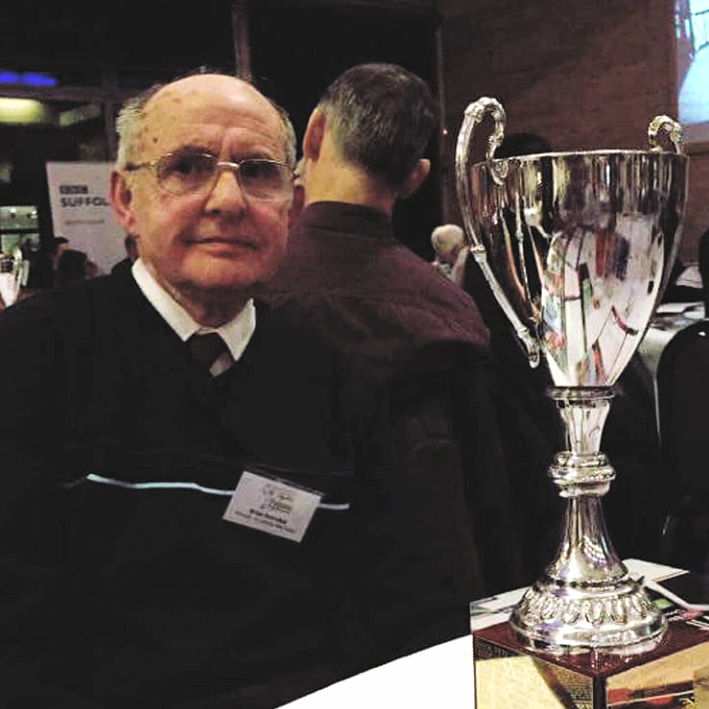 Waveney Valley AC member Bob Milner recently completed a tough long distance achievement when he finished the third of three ultra distance races within a year. His arduous challenge started early last year with the Peddars Way 48 mile race which he finished in a time of 10 hours, 14 minutes and 53 seconds. He followed this with a 100 kilometre event in June, crossing the finish line in 14 hours, 41 minutes and 34 seconds. His final race was the 50 kilometre King’s Forest event towards the end of last year, where he recorded a time of 4 hours and 32 minutes. He finished in an excellent 8th place and received a ‘grand slam’ award for being a triple ultra finisher. 29 members took part in last Sunday’s Freethorpe 10m race on a day when competitors certainly felt the very cold northerly wind during the second part of the race. Trophy winners for Waveney were Zoe Chase for 2nd ladies 40-44 and Lisa Knights 2nd ladies 45-49. Zoe and Lisa, together with Becky Langford, were also veteran team award winners. There were personal bests recorded by Lloyd Scriven 1.03:59, Mike Quantrill 1.08:28, Bob Milner 1.09:07, Lisa Knights 1.13:19, Daren Coulter 1.14:01, Christine Moore 1.27:35, Rosemary Plant 1.37:18, Gavin Hamilton 1.42:33 and Donna Milner 1.43:38. 699 runners completed the race. At the Snetterton 10k there was another good turn out from the club with almost 30 members taking part. In fine conditions on the flat course, there were PB’s by Zoe Chase 41:44 ( 1st ladies 40-44 age category), Kerry Saunders 47:41, Louise Harrod 50:50, Lisa Stewart 52:30, Peter Lang 54:43, Alison Cooper 55:59, Jo Fisher 56:09, Lauren Finch 57:34, Jenny Caulfield 1.00:19, Claire Randall 1.00:56, Tara Carroll 1.04:23, Alison Barnard 1.04:24 and Fiona Houghton 1.10:24. 5k parkrun PB’s for January:- Sonny Neeve 24:00, John Skelly 24:49, Mary Jones 29:04, Oscar Chong 22:17, David Doddington 29:19, Emily Harding 42:43, Maggie Godfrey 29:34, Louise Carroll 31:10, Emma Collyer 41:46, Sarah Norman 23:03, Helen Wright 31:32, Geena Clarke 37:32 and Leon Neeve 19:39. 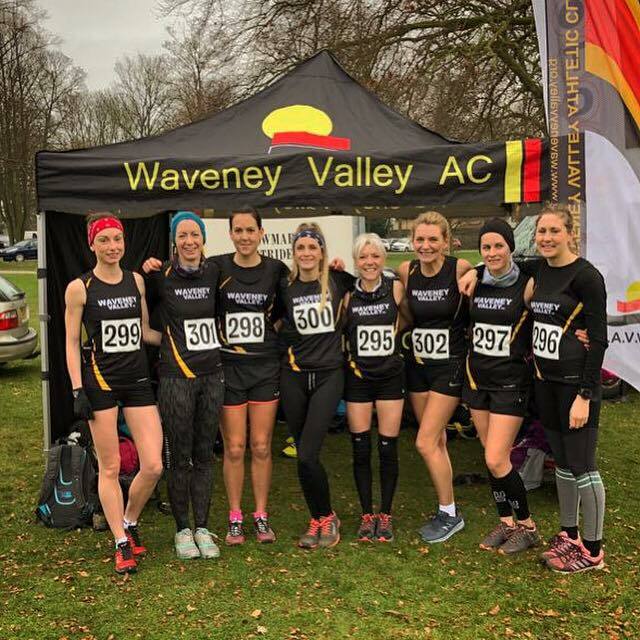 Waveney Valley AC fielded two senior men’s and two senior women’s teams, plus one junior athlete, for the Suffolk Cross Country Championships at Culford School, near Bury St Edmunds, on Sunday. The course, consisting of grass and trails, was fast and firm with one energy-sapping gradient which the seniors had to deal with on each of the three laps. The distance for the seniors was 10k with 1 x 2k and 2 x 4k laps. In the men’s race, Matt Jeffries finished fourth out of 165 runners, in a time of 34:14 with Dean Bain 23rd in 37:44, Jim Burgess 36th in 38:54, Chris Meadows 42nd in 39:46, Chris Pimlott 47th in 40:11, Leon Bernasconi 57th in 40:49, Chris Bradford 63rd in 41:20, Tim Earl 100th in 44:21 and Steve Carruthers, affected by an injury, 102nd in 44:28. Waveney’s ‘A’ team finished a very respectable 5th from 11 teams and Jim Burgess was the award winner for 3rd in the V45 category. In the boy’s under-13 3k event, Waveney’s James Burgess finished 19th in a time of 14:39. Sam Lines and Matt Jeffries have been selected to run for Suffolk in the Inter-Counties Championships at Loughborough on March 9. At the Norfolk Cross Country Championships held at Thetford, Antony Croucher finished 32nd. 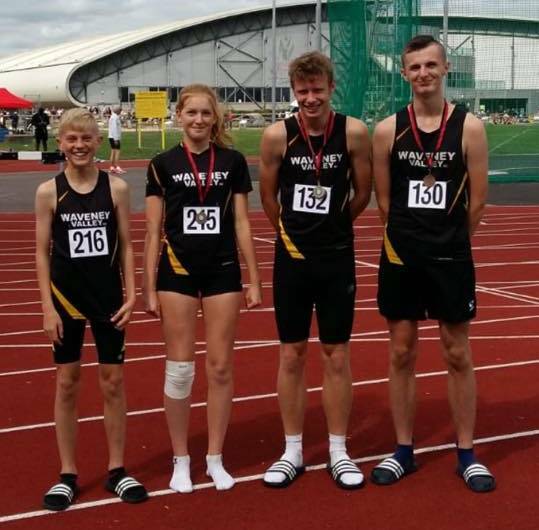 Waveney Valley AC are celebrating a successful start to competitive road running this autumn with the crowning of a county champion to add to numerous personal best times achieved by members. 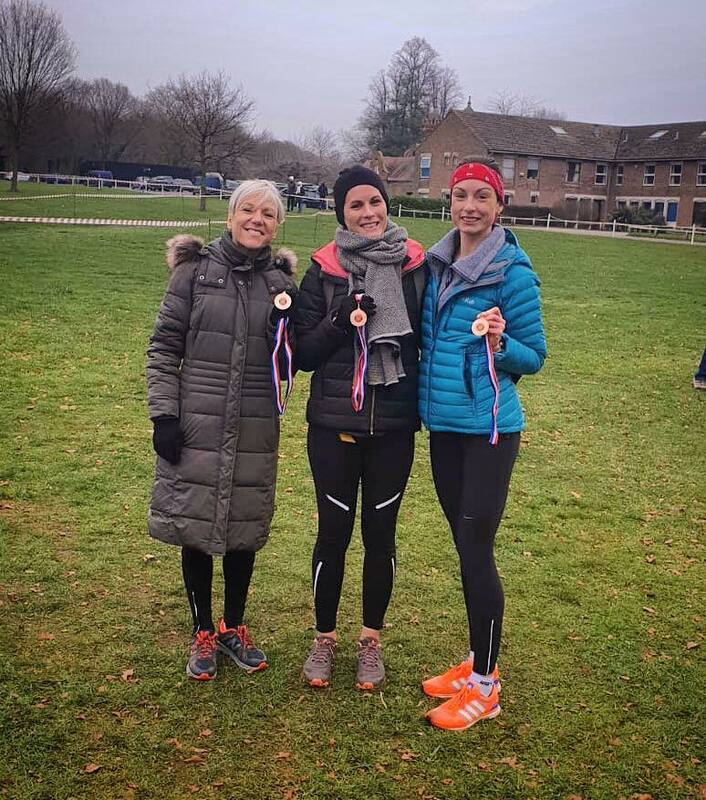 At the Framlingham 10k, which served as the county championships, Samantha Lines ran almost a minute faster than her previous best to record a time of 36:58. She was the first lady to finish and was duly crowned Suffolk champion. Coach, and Sam’s training partner, Matt Jeffries ran a season’s best 33:10 to finish second overall. At the Wissey Half Marathon, Jim Burgess and Steve Carruthers achieved PB’s. From a field of 255 runners, Jim was placed 13th in 1.25:40 and Steve 18th in 1.26:54. Sarah Norman ran a PB by almost seven minutes at the Great North Run, finishing in a time of 1.45:32. Other GNR times:- Leon Neeve 1.36:00, Andy Ayers 1.40:35, Matt Baldry 1.43:24, Dylan Neeve 1.58:13, Sonny Neeve 1.58:13, Chris Pitman 2.11:38, Angela Mower 2.39:14, Donna Cuppleditch 2.51:44. At the Great East Run held at Ipswich, Stuart Spurgeon ran a personal best 1.38:23, with a PB also for Daren Coulter in 1.45:49. Other GER times:- Andy Ayers 1.45:49, Vladimir Laptikhovsky 2.02:28, Lisa Wilson 2.06:50, Michaela Gooch 2.17:58, Kirsty Howe 2.23:24, James Gooch 2.30:57. The Jolly Jaguars 10k, held at the former RAF base at Coltishall, proved a happy event for Waveney’s athletes. From a field of 503 runners, new member Stuart Coe finished 14th in 38:49, with personal best runs from Mike Quantrill, 42nd in 40:55, Dave Catchpole 213th in 50:48, Demelza Hammond 279th in 54:27, Debbie Foster 348th in 58:32, Rachael Finch 363rd in 59:05 and Peter Lang 366th in 59:03. Phil Hazell finished well placed in the 70+ age category, and an overall 285th in 54:50. Eight members competed in the Bure Valley 10m race. Zoe Chase and Chris Strange, in their debut 10m races, finished 53rd in 1.11:28 and 55th in 1.11:50 respectively. There were personal best times for Matt Baldry, 57th in 1.12:02, Lisa Knights 73rd in 1.14:38, Ian Hawkes 82nd in 1.16:14, Louise Harrod 171st in 1.26:44 and Angela Mower 286th in 1.50:11. David Mower was close to his best with 87th place in 1.16:28. Four members, Becky Langford, David Mower, Danni Liffen and Bill Kingaby, took part in the annual Reebok Ragnar White Cliffs Experience, a coastal relay race covering approximately 177 miles from Sittingbourne in Kent to Brighton, East Sussex. Ten runners per team competed over the 30-leg race, with each competitor running three legs each. Waveney’s part team of four, plus local runner Carl Frisby, were joined by Google employees, mostly from Seattle, to make a full team named Googling Warriors. In wet, muddy conditions, with several steep gradients, the team, with very little sleep, were pleased with their finishing placing of 37th out of 114 teams, in just under 26 hours. Other results:- Greater Cambridge 10k – Antony Croucher 41:27. Nottingham Half Marathon – Stuart Smith 2.04:51. 63 members of Waveney Valley AC competed in the Gt Yarmouth East Coast 10k, a record number of entries by the club for a race. Many were running for Waveney for the first time. Matt Jeffries followed his win from a week earlier at the Lowestoft Half Marathon, to triumph again, from a field of 816 runners, with a time of 33:04. New member Dean Bain was fifth in 35:51, Jim Burgess 12th – 1st vet 45+ – in 37:02 and Stuart Coe 28th in 38:59. Andy Ayers was 60th in a personal best 42:04 with Zoe Chase just behind in 62nd in 42:16. Zoe was awarded the trophy for first female vet 40+.The club also won trophies for 2nd men’s veteran team and second ladies open category. There were personal best 10k runs by Chris Strange 43:44, Sarah Norman 46:39, Danni Liffen 46:46, Robin Jones 46:57, Layla Bedford 52:56, Stuart Smith 54:02, Lisa Stewart 54:10, Paul Maccormick 55:16, Natalie Brown 55:40, Lisa Cone 55:48, Lauren Finch 57:50, Kim Stone 1.09:33, Kate Howlett 1.14:46 and Paul Hierons 1.18:43. 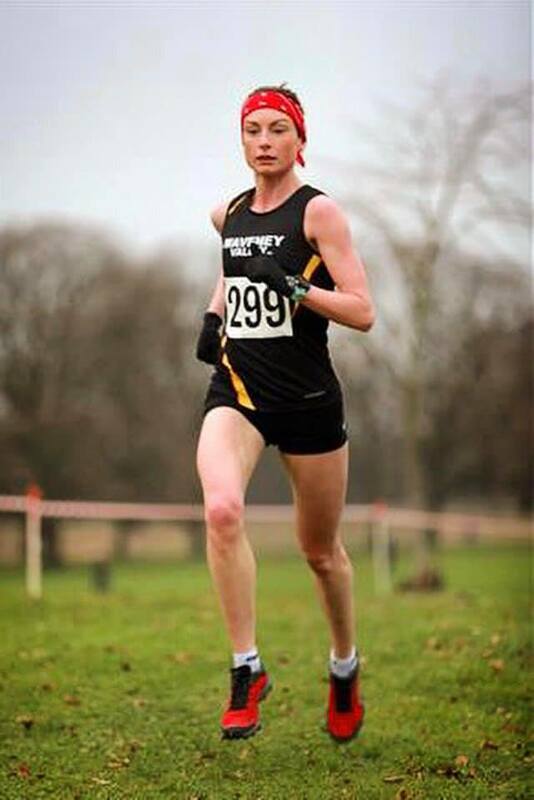 At last Sunday’s Holt 10k, the final event in this years Norfolk Grand Prix series, Zoe Chase led her clubmates home, finishing 96th in a time of 44:05. Thirteen club members took part, with pb’s by Paul Maccormick 53:49 and Jenny Green 1.06:07. Chris Pimlott and Lisa Wilson competed in the Plusnet Yorkshire Marathon and both ran impressive personal best times on a very cold and wet day. An achilles heel problem in August had set Chris’ training back for a couple of weeks but he still managed to run 23 minutes faster than his only previous marathon – London 2011 – clocking 3.02:05. His time qualifies him for a ‘ Good for Age ‘ entry to the 2020 London Marathon. It was Lisa’s fourth marathon and she has improved her time at each. She finished in 4.27:13, more than eighteen minutes faster than her previous marathon, at Brighton in April. Other results: Great Barrow Challenge 10k David Goosey 49:42 pb, Lisa Wilson 53:57 pb ( trophy winner 1st lady ). Saxmundham 5m Mike Quantrill 34:04, Daren Coulter 37:49, Alison Cooper 46:23, Tara Carroll 58:31, Rachael Finch 58:32, Peter Lang 1.02:34. The 23rd staging of the Lowestoft Scores Race, which took place on Sunday, had a record number of entrants tackled one of the region’s toughest events. The race, organised by Waveney Valley Athletic Club, started in the High Street and followed a route along town’s historic Scores before finishing at the Triangle Market, covering over 1.4 miles. In the junior race, the boys’ winner of the 9-12 age group was Waveney’s William Browne in 8:53, with his club mates Lewis Barnes (8:55) and Josh Smith (8:57) second and third respectively for a clean sweep of the prizes for Waveney. Billy Girling won the boys’ 13-15 age group in 8:04, with Waveney’s George Browne second in 8:07. The girls’ 9-12 winner was Tess Andrews, BBDRC in 9:11 and the girls’ 13-15 winner was Alice Daniels, CONAC in 9:03. 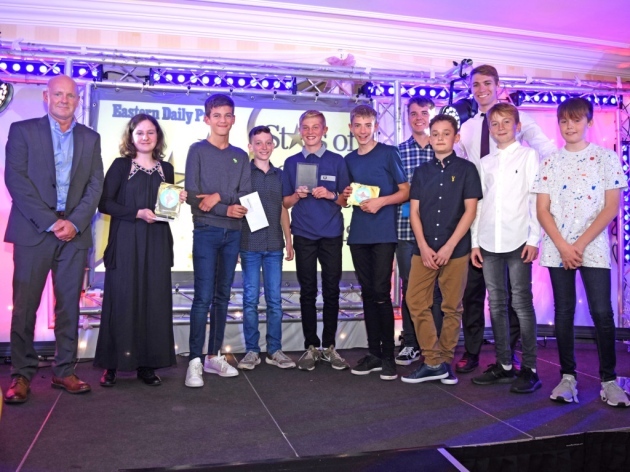 Additional combined age group results for Waveney were: 6 Thomas Spurgeon 8:52, 15 Vaughn Beckham 9:17, 17 James Burgess 9:26, 19 James McAllen 9:33, 20 Theo Chong 9:33, 29 Nathan Littlejohns 10:01, 32 Gabby Wright 10:15, 33 Agatha Gouldby 10:16, 35 Jude-Benson Smith 10:28, 38 Benjamin Littlejohns 10:46, 39 Reuben Colbridge 10:46, 40 Cruz Harewood 10:53, 41 Henry Reynolds 10:57, 42 Ana Colbridge 10:57, 44 Charlie Mudd 11:29, 49 Ruby Benson-Smith 12:48, 51 Wilf Gouldby 13:04, 54 Callum Dootson 13:55. At the prize presentation, race organiser Tim Earl thanked Birds Eye for its generous sponsorship plus Lowestoft Vision and Sportlink for their support. Thanks were also given to Christchurch for race facilities, plus all of the marshals, first aiders, traffic management officers and helpers who ensured the event was a success. The 23rd staging of the Lowestoft Scores Race, which took place on Sunday, had a record number of entries as 306 runners, a huge increase on last years record of 255, tackled one of the region’s toughest events. 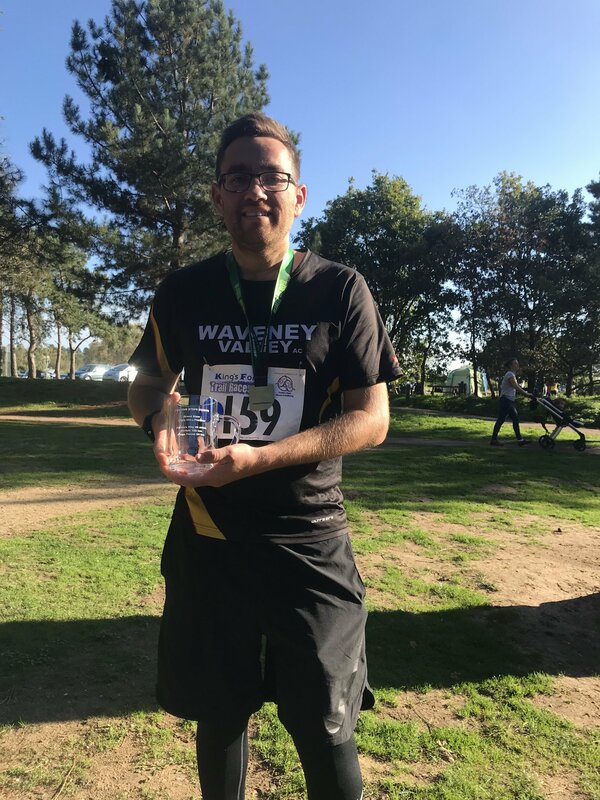 The race, organised by Waveney Valley Athletic Club, started in the High Street and followed a route along the north sea wall, Gunton Cliff and all of the town’s historic Scores before finishing at the Triangle Market, covering a distance of approximately 4.75 miles. Michael Eccles, the winner from the last two years, was unable to compete this year through injury, and a new name was added to the roll of honour as Stephen Balfe of City of Norwich AC, crossed the finishing line first in a time of 28:12. Jo Andrews of Bungay Black Dog RC, the 2016 winner, was first lady in a time of 30:32. Host club Waveney Valley’s Zoe Chase, Harriet Lyman and Becky Langford were prize winners for first ladies team and Bill Kingaby was the award winner for first in the M65+ age category. 46 members of Waveney Valley competed in the senior race. in 9:03. 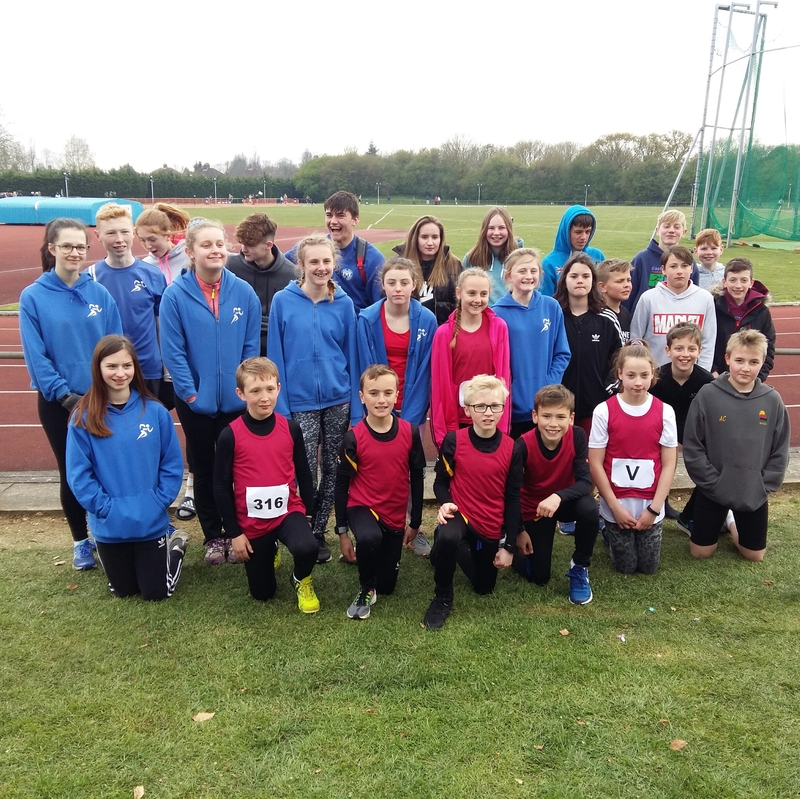 Additional combined age group results for Waveney were: 6 Thomas Spurgeon 8:52, 15 Vaughn Beckham 9:17, 17 James Burgess 9:26, 19 James McAllen 9:33, 20 Theo Chong 9:33, 29 Nathan Littlejohns 10:01, 32 Gabby Wright 10:15, 33 Agatha Gouldby 10:16, 35 Jude-Benson Smith 10:28, 38 Benjamin Littlejohns 10:46, 39 Reuben Colbridge 10:46, 40 Cruz Harewood 10:53, 41 Henry Reynolds 10:57, 42 Ana Colbridge 10:57, 44 Charlie Mudd 11:29, 49 Ruby Benson-Smith 12:48, 51 Wilf Gouldby 13:04, 54 Callum Dootson 13:55. Waveney Valley AC’s over 60’s team have been presented with their winning trophies from the Ekiden Relay event after a delay of a few weeks. The event took place last month but a mix-up with the results meant the team could not receive their trophies on the day of the event. The team retained their top place after being victorious last year also. Entries are still being accepted for the Lowestoft Scores Race which takes place on September 9th. The senior course takes in 254 steps of the towns iconic Scores, covering a distance of approximately 4.75 miles. The juniors race over a distance of 1.4 miles. Club members that have achieved late summer personal best times in the 5k parkrun events include: Denise Bjorck 34:00, Mary Jones 33:05, Carol Ryland 30:19, Rachel Collins 28:18, Seth Frankland 26:38, Daryl McKeown 24:23, Vaughn Beckham 23:37, Danni Liffen 23:26, Lily Collins 23:17, Jessica Hall 22:55, Chris Strange 20:19, George Browne 19:04, Steve Carruthers 18:43, Jay Lingwood 18:04, Jenny Green 33:50, Michelle Caldwell 32:33, Natalie Brown 26:28, Jo Fisher 26:15, Paul Maccormick 24:28, Nigel Lyman 22:54, James McAllen 22:28, Theo Chong 21: 29, Sue Cole 37:18, Emma Platt 33:44, Jo Garbutt 30:57, Claire Randall 27:37, Thomas Spurgeon 20:39, Sarah Norman 23:16, Stephanie Oldman 32:19, Gail Barnard 28:24, Debbie Foster 28:05, Dean Bain 16:55, Laila Spurgeon 33:44. The busy programme of road races this summer has kept athletes from Waveney Valley AC in regular competition. Leading the way in popularity in recent weeks was the Run Norwich 10k, which had more than 6,000 entries. Just under 60 of those competing on a very hot day were Waveney Valley members. 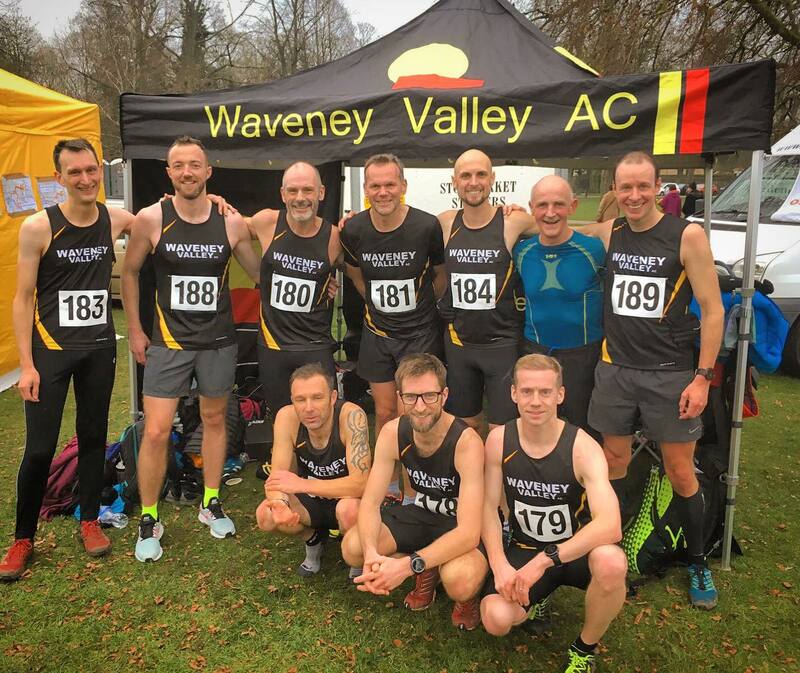 The top ten finishers for Waveney were Chris Meadows in a personal best 37:59, Steve Carruthers 39:22, Andy Ayers 42:41, Mike Quantrill 43:14, Ricci Wilson 43:16, Colin Galer 43:58, Michael Hollidge 44:02, Matt Baldry 44:25, Bob Milner 46:45 and Ian Hawkes 47:12. Sarah Norman was delighted with her personal best time, by over two minutes, of 48:11. The Scottow Coltishall 5k proved to be a happy event for Waveney as five of the seven club members recorded PB’s. The ever-improving Mike Quantrill recorded another Diamond age-graded performance with his PB 19:51, finishing 45th from a field of 511 runners. Dan Critoph was 135th in 22:38 PB with Mark Smith 183rd in 24:10, Paul Maccormick 184th in 24:15 PB, Lauren Finch 297th in 27:27, Rachael Finch 301st in 27:34 PB and Kirsty Howe 326th in 27:58 PB. A new race, the Wortwell Friday 5m Sizzler, organised by Bungay Black Dog RC, attracted an entry of over 200 with 35 of those being Waveney Valley AC members. Waveney’s Matt Jeffries won the race in a time of 26:27 and there were age category wins for Jim Burgess, M45-49 in 29:22 and Phil Hazell M70+ in 45:02. Club members achieving PB’s were Tim Moore 30:58, Andy Ayers 33:01, Stephanie Pimlott 40:21, Lisa Stewart 43:45, Gavin Hamilton 44:54, Alison Cooper 45:42, Rachel Maydom 54:06 and Paul Hierons 1:00.32. Other results: Ipswich Twilight 10k Jayne Richardson 1:00.30, Alan Richardson 1:01,51. Dereham 5k Demelza Hammond 27:48 PB. Nearly two dozen members of Waveney Valley AC took part in the third and final race in the Bungay Summer 10k series. 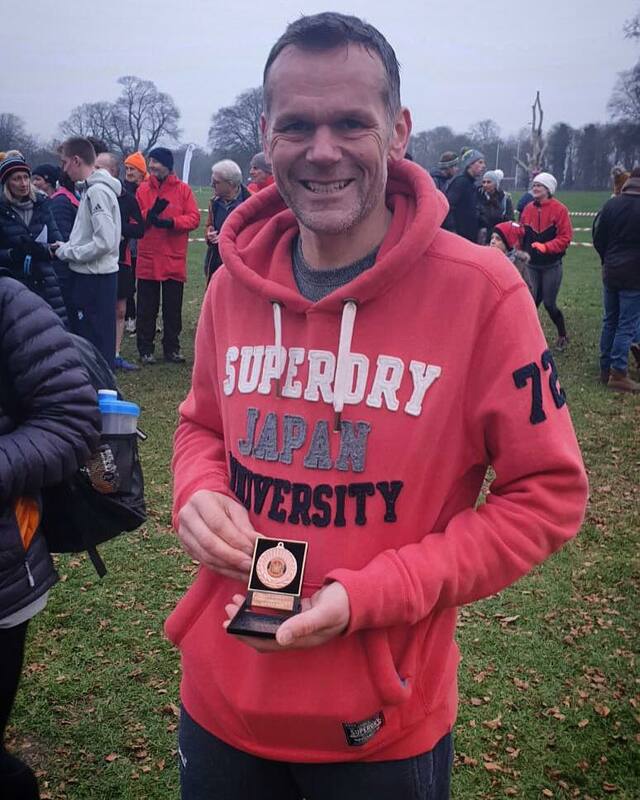 The club’s most award-winning athlete in the series has been Jim Burgess, who joined the club last year and since then has made a real impact with notable performances in 5k, 5 mile and 10k events. The Bungay Summer series, in particular, proved successful for him with first place in the M45-49 age category in all three races. Steve Carruthers, Dan Critoph and Donna Milner all ran personal best times in race 3, Donna knocking almost six minutes off her previous best. Results: 4 Jim Burgess 36:49, 8 Steve Carruthers 38:48 PB, 11 Lloyd Scriven 39:55, 45 Stuart Spurgeon 44:12, 49 Chris McAllen 44:21, 53 Chris Strange 45:08, 67 Jason Chong 47:28, 69 Bob Milner 47:33, 74 Dan Critoph 47:42 PB, 86 Becky Langford 48:44, 92 Tris Holtzer 49:08, 134 Cheryl Goymer 53:55, 140 Jon Andrews 54:34, 141 Dave Catchpole 54:46, 145 Stuart Smith 55:08, 162 Alison Cooper 57:44, 169 Tina Winney 58:20, 170 Kate Holtzer 58:25, 180 Michaela Gooch 59:43, 182 James Gooch 59:45, 189 Donna Milner 1:01.31 PB, 199 Bill Kingaby 1:03.14. On Saturday, the club held its summer BBQ and awards presentation evening at the Lowestoft & Yarmouth Rugby Club. Trophies were presented to members for their achievements over the last club year with 67 runners awarded for age-graded standard times over three different distances. Awards: PLATINUM – Matt Jeffries, DIAMOND – Steve Carruthers, Wayne Freeman, Bill Kingaby, Samantha Lines, David Mower, Dylan Neeve, Karim Ouaddane, Mark Thompson, GOLD – Louise Adamson, Andy Ayers, Matt Baldry, Tim Earl, Lisa Knights, Becky Langford, Harriet Lyman, Liam Nudd, Chris Pimlott, Mike Quantrill, Alan Richardson, Patricia Tuttle, SILVER – Jason Browne, Daren Coulter, Antony Croucher, Steve Gibbs, Daniel Harris, Paul Harrod, Louise Harrod, Ian Hawkes, Joe Mayne, Bob Milner, Tim Moore, Leon Neeve, Sarah Norman, Paul Peek, Stephanie Pimlott, Grainne Purvis, Jayne Richardson, Darrel Roberts, Mark Smith, Stuart Smith, Stuart Spurgeon, Billy Underdown, Alan Varle, Ricci Wilson, BRONZE – Jon Andrews, Emma Branch, Susannah Close, Jon Comyn, Caroline Clamp, Dan Critoph, Camilla Darling, James Drake, Sarah Etherton-Nicol, David Goosey, Demelza Hammond, Tris Holtzer, Kate Holtzer, Malcolm Huggins, Sarah Phillips, Angela Mower, Amanda Scarff, John Skelly, Emily Skelly, Lisa Wilson, Vicky Wood, Tina Winney.